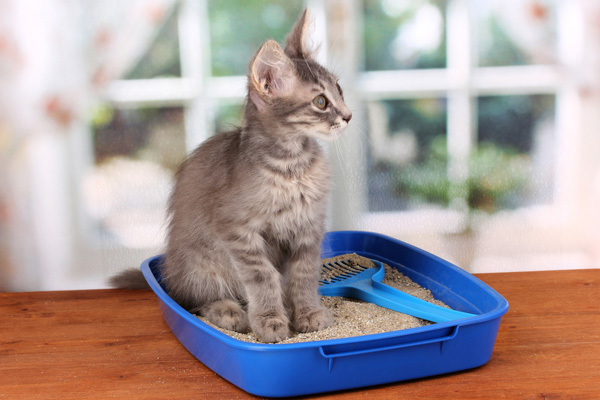 Ask a Vet: Why Do Cats Urinate Outside of the Litter Box? There are behavioral as well as medical causes of feline house soiling; the medical condition that's most often behind it is FIC. In contrast, on a daily basis over those nearly 14 years I have fielded one question in particular that is in no way unusual. Again and again and again, in person and online, cat owners have one burning question that they want answered. 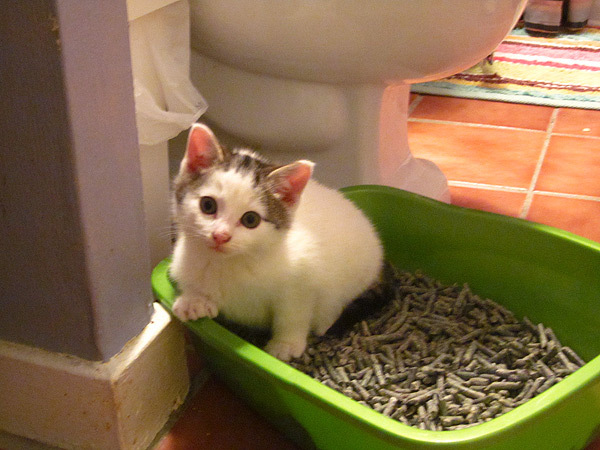 That question boils down to this: Why did my cat just pee outside of the litter box? Cats are special creatures, and their urine is quite special as well. If you care about your property, cat urine is special in a very bad way. It stinks to high heaven, and the odor of cat urine is virtually impossible to remove. A cat who does not reliably use the litter box can render a dwelling uninhabitable in very short order. 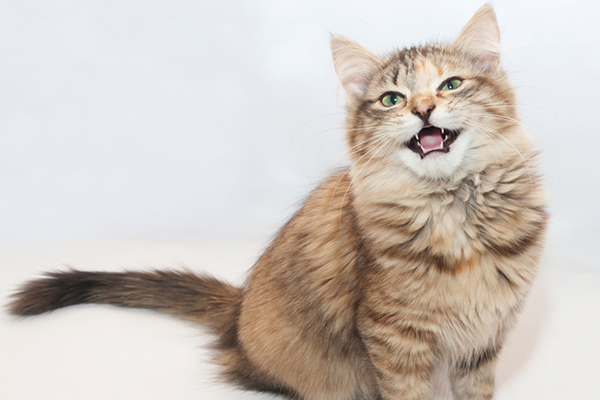 There are two basic causes of feline house soiling: behavioral problems and medical problems. In that latter category, one medical problem reigns supreme as a cause of the most undesirable of feline behaviors: FIC. FIC, depending upon the person with whom you are speaking, stands for either feline idiopathic cystitis or feline interstitial cystitis. The first phrase is the preferred one in most quarters. Cystitis means inflammation (irritation) of the bladder. Idiopathic means cause unknown to medical science. Thus, FIC is a pretty good description of the condition: It is a condition of cats in which their bladders (and urethras) become irritated for unknown reasons. The syndrome’s name has been quite controversial and fluid over time. Initially vets referred to it as feline urological syndrome, or FUS. The next generation of vets called it feline lower urinary tract disease, or FLUTD. FIC is the currently preferred nomenclature among ivory tower types. And the vets of tomorrow may have a new name for the condition: Pandora Syndrome. That name was recently suggested because, according to Gregory F. Grauer in the November/December 2013 issue of Today’s Veterinary Practice, “[t]he syndrome does not identify any specific cause or organ [and it] captures the dismay and dispute associated with the identification of many problems beyond the bladder/urethra.” The double entendre associated with the word “box” also did not escape my notice. Dr. Grauer recently wrote a summary of the syndrome (which for now is still called FIC). One of his key points is that the syndrome does not merely affect the bladder and the urethra. However, for the purposes of cat owners, the urinary manifestations of the syndrome are the most important. Here is a basic rundown: Cats affected by FIC suffer from cycles of urinary irritation. The clinical symptoms include house soiling, frequent urination, painful urination, and bloody urine. Male cats with the condition may develop an urgently life threatening condition called urinary obstruction; for anatomical reasons, urinary obstruction is very rare in females. As mentioned, the condition is cyclical. Cats with the condition will typically experience several days of urinary symptoms, then go several weeks without symptoms, and then relapse. The cause of the condition is unknown. However, urine strength and chemistry appear to play a role. It is hypothesized that concentrated (strong) urine is more likely to lead to urinary tract inflammation. Also, urine with high pH, and a type of urinary crystal called struvite, is correlated with the symptoms. Therefore, the condition is often diet responsive. Wet foods contain more water and lead to less concentrated urine. Urinary-specific diets that lower pH often help reduce the frequency of symptoms. It has been my experience that urinary-specific diets are the single most effective treatment for FIC; however, cat owners should be aware that some respected experts question whether diet plays any role in the condition whatsoever. Other risk factors identified in the condition include stress and obesity. Close cohabitation with other cats is a leading feline stressor; I therefore see much more FIC in multiple cat households than in homes with only one cat. Symptoms may occur during major life events as well — moving, marriage, divorce, new babies, and deaths in the family all are frequent triggers of FIC symptoms. Overweight cats — which in America means the majority of cats — are over-represented among sufferers of FIC. Treatment of FIC generally involves dietary modification and reducing the known risk factors. As I mentioned above, in my experience changing to a wet, urinary-specific diet is the single most effective way to reduce symptoms of FIC (in my experience it is unrealistic to hope for complete elimination of the symptoms). Multiple sources of fresh water should also be readily available to encourage water consumption. Stress reduction also is important. 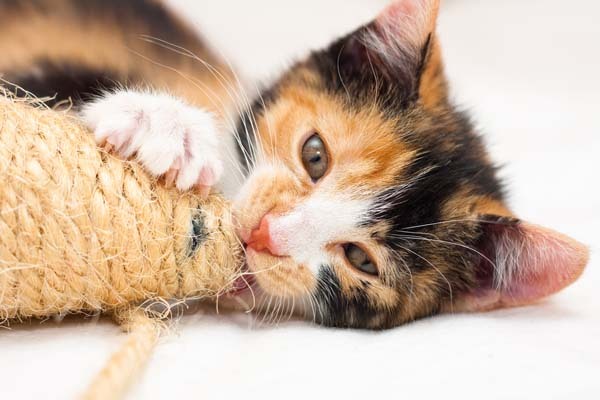 Since much feline stress revolves around the presence and behavior of other cats in the house, owners of multiple cats should consider consultation with behaviorists to discuss methods to improve how cats get along in the house. Dr. Grauer also points out that increased contact between cats and their owners may reduce stress, as may increased access to private areas. Additionally, he notes that litter box hygiene appears to significantly impact the problem. During episodes of cystitis, many cats benefit from administration of prescription pain killers. Remember never to administer a human pain killer to a cat. Antibiotics are of no use in treating the condition. Finally, owners of cats with FIC should brace for a long haul. The treatments mentioned above often reduce symptoms significantly. However, at this time there is no cure for the condition, and most cats will experience episodic discomfort even when owners follow all of the above guidelines. Go to the vet. As mentioned above, there are behavioral and medical causes for house soiling. Diagnostic tests including blood work, urinalysis, urine culture and diagnostic imaging are indicated to differentiate between the different causes. If your cat is male and is exhibiting any abnormal urinary behavior, then you should run rather than walk to the vet; male cats are at risk of urinary obstruction, which can rapidly lead to fatal consequences. My website, drbarchas.com, has a number of resources for people with house soiling cats. 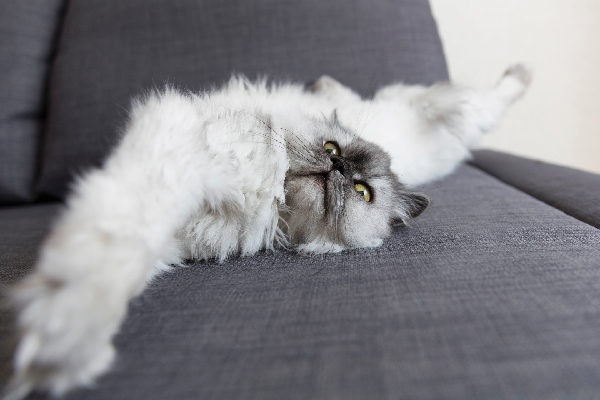 Click here for a rundown of potential causes of feline house soiling. Click here for a description of FIC and its treatment. Click here for a description of urinary obstruction. And click here for behavioral modification tips that may help reduce undesirable urinary behaviors. 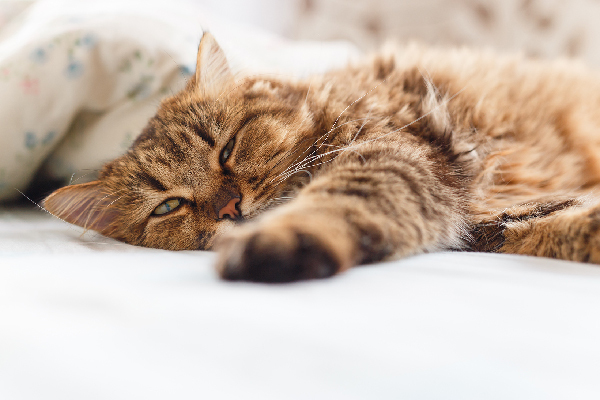 Ask a Vet: How Can I Prevent Bladder Problems in My Cat? 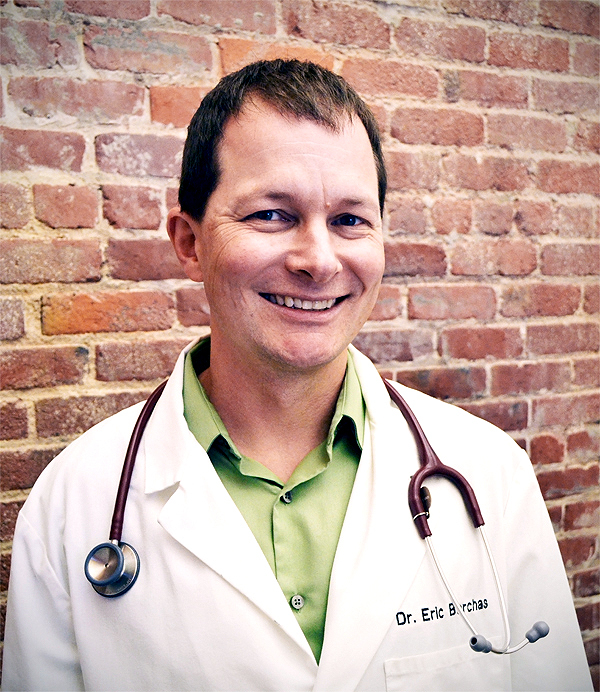 Is Diet Linked to Feline Urinary Obstruction? Do Prescription Cat Food Diets Really Work?